My friend Michelle went to the Beethoven Haus in Bonn, Germany, and came home with gifts for me. 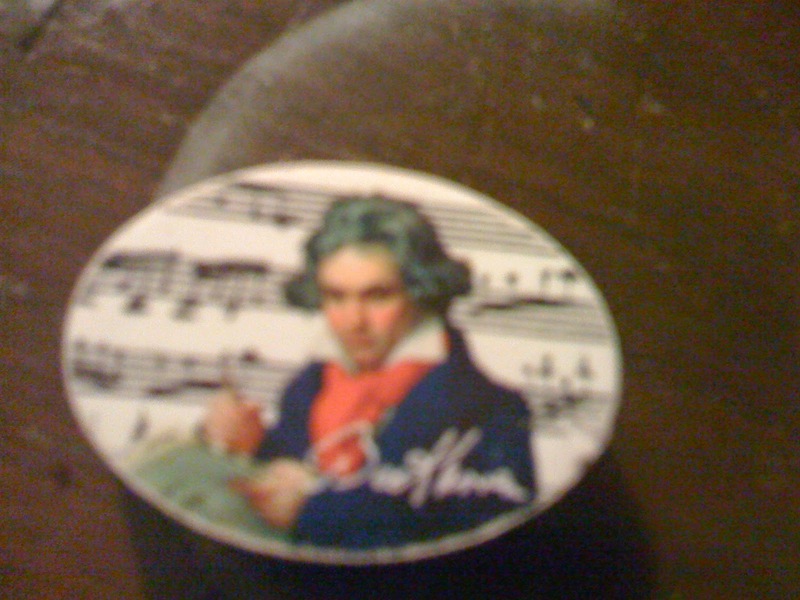 Above is a blurry picture of a Beethoven eraser! 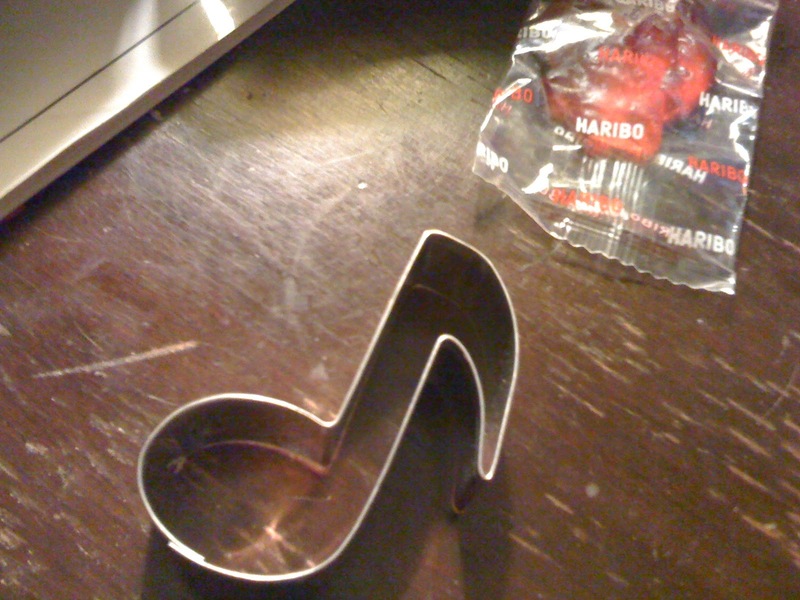 And here is a musical note cookie cutter with a Beethoven Gummi Bear in the background. Well, I guess it would be a Gummi Beethoven. Michelle says that everywhere in Germany they are crazy about things Gummi. I have not inherited that mania but I love it. 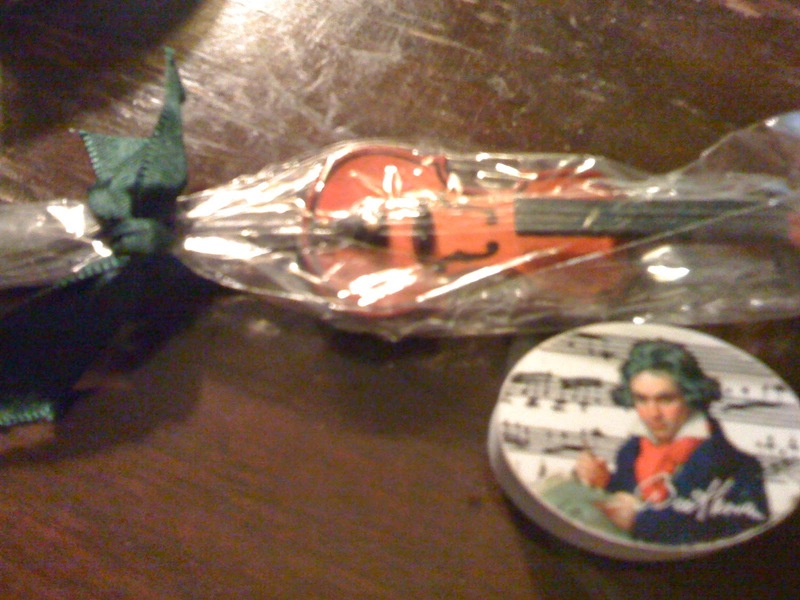 Here is the Beethoven eraser with a Beethoven violin pencil. It is a most pleasant collection of Beethoven souvenirs! The eraser is especially appropriate. Beethoven loved to use the eraser as opposed to Mozart who did not. They had different ways of operating. Mozart would just write out of his head. He had everything pre-written in his mind. Beethoven would work things out on paper and that involved a lot of erasing. My piano teacher, Stephen Manes, he once showed me a copy of a Beethoven manuscript that showed how Beethoven had erased right through the paper! I never forgot that. ... had it not involved a lot of erasing. It is beautiful, however you play it. Like my souvenirs from the Beethoven Haus!